This last real estate season has left a lot of buyers still on the market. Locking up and waiting for the next season may be detrimental to your selling/buying. With a big demand and many still not in their dream homes, keeping your options open for the season may be beneficial. In the event that interest rates rise from were they currently are, there could be a major impact on the real estate market. Although the rise may not be by much, you should still keep your eye out for it this winter. Currently, we are in a sellers market, high demand, with low supply. Many people are still looking for the right home, but the inventory is still low, having your house on the market right now may bump the prices up! 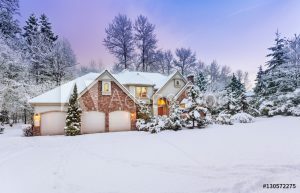 As you prepare your home for the potential changes in the winter market, contact LDSAgents.com for the right agent with all of the right standards!